Rosalie is amicably divorced, dividing her time between her mother's house, with her siblings and small daughter, and C�sar's. He's self made, a scrap iron king, outgoing, amiable, in love with her. Enter David, an artist and Rosalie's flame before her marriage. In a quiet, brooding way, he seeks to reclaim Rosalie. C�sar's jealous outbursts and attempts at cunning backfire and send Rosalie into David's arms. C�sar keeps trying: he buys Rosalie's childhood seaside vacation home as a gift, wins her back, then must ask David to join them so Rosalie will be happy. When Rosalie discovers C�sar and David's complicity, she again asserts her freedom, leaving the men alone together. 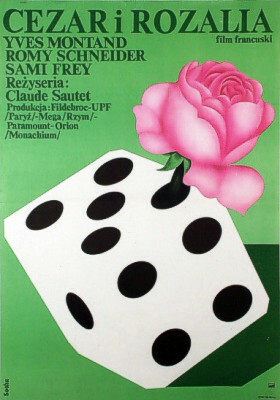 I saw "Cesar and Rosalie" at the Jerusalem Cinematheque. 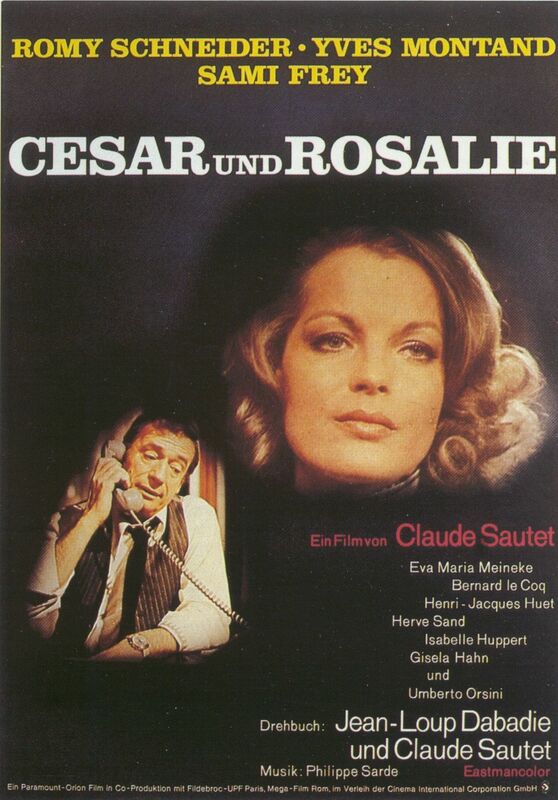 I had only seen Claude Sautet's later movies (which I loved), and was unsure what to expect. The cinema was packed full of people, and some of the older members of the audience were laughing out loud almost immediately at Yves Montand's antics. I was a bit more restrained. But it didn't take long for me to find myself laughing as well. And not only me, it seemed like everyone there was in good spirits, young and old alike. 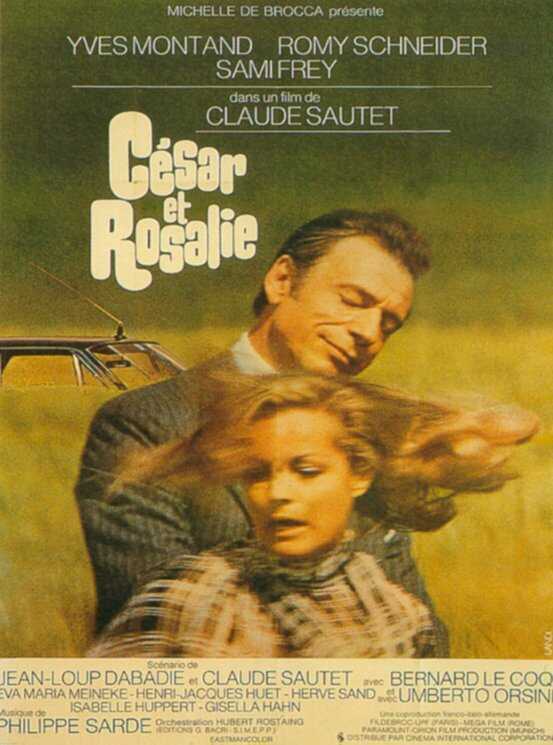 Yves Montand's acting was incredible, Romy Schneider is terribly desirable, and the film just floated along. Definitely worth seeing, both if you're a Claude Sautet fan or if you want a charming movie about the interesting relationship which develops between the movie's three protagonists.